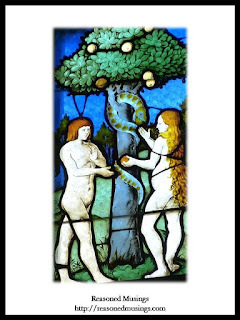 Reasoned Musings: Original Sin: True or False? All of us are sinners. We all have a corrupted nature that motivates us to sin. Our sinfulness or sinful nature precludes our allegiance to the various religious worldviews. In other words, a Christian subscribing to Historic Christianity would believe that all of us, irrespective of our religious worldviews, are sinners because we have a sinful nature. 1. The Bible maintains that because of Adam’s sin all persons receive a corrupted nature and are guilty in God’s sight as well. 2. We were involved, although not personally, and are responsible for the sin. 3. With this matter of guilt, however, just as with the imputation of Christ’s righteousness, there must be some conscious and voluntary decision on our part to sin. Until we sin, there is only a conditional imputation of guilt. 4. Thus there is no condemnation until one reaches the age of responsibility. The Bible also says that children are not under God’s condemnation for this sin, at least not until attaining an age of responsibility in moral and spiritual matters. If a child dies before becoming capable of making genuine moral decisions, the contingent imputation of Adamic sin does not become actual, and the child will be with God forever in heaven. 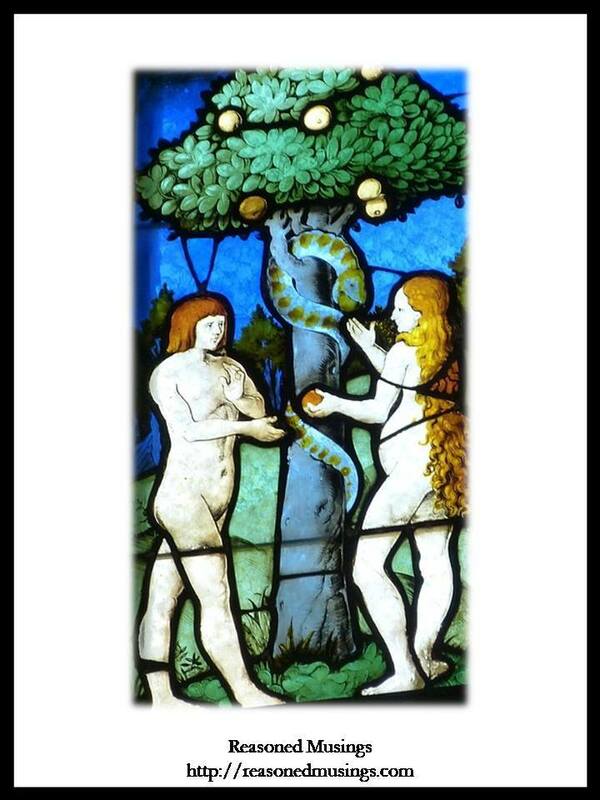 Is Original Sin An Essential Doctrine Of Historic Christianity? Is the doctrine of original sin essential to the sustenance of Historic Christianity? I do not think so. I believe in the doctrine of the original sin. But I also understand that this doctrine is not as crucial (for salvation) as that of believing in the birth, death, and resurrection of the Lord Jesus Christ. So those who do not believe in the doctrine of original sin would still go to heaven because they believe and love the Lord Jesus Christ. These Christian brothers and sisters will go to heaven as long as they do not deny any essential doctrines e.g. the birth, death and the resurrection of the Lord Jesus. In fact, there are a few doctrines that one need not believe in order to be a Christian. Why Is Original Sin Not Essential To Christianity? A simple answer to this question is because my belief in the doctrine of original sin does not affect my salvation. In other words, I would be saved, even if I do not believe in original sin because my salvation is predicated on my belief in the Triune God and the Lord Jesus Christ’s finished work on the cross of Calvary. It’s acceptable that Christians do not believe in the doctrine of original sin. But it’s not acceptable if Christians do not believe in sin. Sin is an assault on God. We sin when we disobey God. Since God exists, sin also exists because human beings, having been created with freewill, have the ability to obey and disobey God. Therefore, Christians cannot claim that there is no sin. However, we could agree to disagree about the other aspects of sin, such as its origin etc. The first instance of sin was in the heavenly realms when Satan and his angelic cohorts rebelled against God. Then sin infiltrated into the human realm when Adam and Eve disobeyed God. This is a common understanding of the origin of sin. However, if some Christians have a different understanding of sin’s origin, then there is always enough room to accommodate/endure such theological differences because these differences do not undermine Historic Christianity. Furthermore, disagreements on fringe doctrines cannot promote or relegate anyone or any group as theologically superior or inferior, respectively. So as long as a Christian believes that we are capable of sinning and that the consequence of our sin is alienation from God (wages of sin is death), he/she is doing well in his/her Christian faith. This is the bare essential, within the context of sin and salvation, to be a Christian. Conclusion: Is Original Sin True Or False? We can always agree to disagree on doctrines that are not central to Historic Christianity. Those who disagree about the doctrine of original sin or any other fringe doctrines cannot be relegated to any superior or inferior status whatsoever. I believe in the doctrine of original sin, but at the same time, I am aware that there are many sincere Christians who do not believe or disagree with the doctrine of original sin. 1Christian Theology, Second Ed., Millard J. Erickson, p648. Websites last accessed on 31st July 2018.